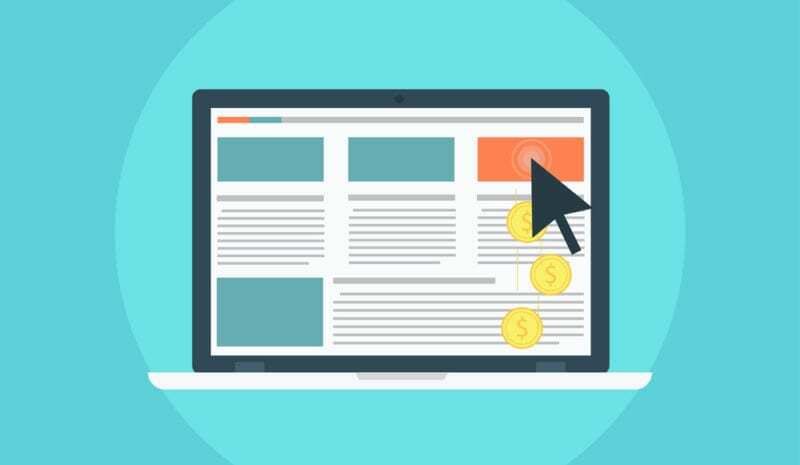 Successful pay-per-click (PPC) advertising campaigns rely on superior interplay among three key components: relevant keywords; specific, focused text ads and well-optimized landing page. Finding the right keywords that resonate with your target audience and writing compelling ad copy that get searchers to click your ad on the search results page affect how well you generate traffic to your site. But the job of convincing and converting that traffic into leads or customers falls on your landing page design. Are yours up to the task? A landing page design is simply a Web page that displays when a potential customer clicks your PPC ad. As such, any page on your site could serve as a landing page. But the best landing pages are those that you create and customize for the specific keyword and ad that will bring the potential customer there in the first place, with the single purpose of driving him or her to take the precise action you want taken—order a product, register for a white paper, sign up for a newsletter, get a free estimate, fill out a form. And that’s not all: A great landing page also needs to engage the potential customer, build credibility and trust with your company and motivate that person to take action. That’s a tall order for any Web page to fill, but because a great landing page can significantly improve your conversion rate, it’s worth your while to spend the time and effort to make it as effective as it can be. Simple is best: Build the page around a single offer and call to action. Resist the urge to pack the page with lots of other information about your company, other products/services you offer and similar information. Remove any distractions, such as unnecessary graphics or images that compete with your call to action, primary navigation links and anything else that might direct the visitor away from the task at hand. Ensure continuity with your ad: Your ad has set up an expectation for your customer that needs to be fulfilled on the landing page. Therefore, it’s important to incorporate both the language and the tone of the ad on your landing page and deliver on the expectation in the most efficient way possible. Make it easy for your customers to take action: Make sure your call to action is obvious, clear, direct and easy to understand for your customer. If your landing page is too complicated or your call to action doesn’t stand out from the rest of the content on the page, you run the risk that your customer will simply exit the page instead of trying to figure it out. Write copy that’s easy to scan and digest: Headlines, bulleted lists and image captions are all-important on landing pages because those are the elements that visitors first scan to determine relevancy to what the ad promised. Keyword use in headlines and text, lists of benefits and easy-to-understand descriptions that persuade are important components of landing pages. You can always include further details in a pop-up box if more information is necessary to convince your customer to take action. Keep your forms short: A good rule of thumb is to ask for and collect only the information you absolutely need to complete the transaction. If forms are too complicated or long, customers might decide the offer isn’t worth the effort—and move on. Build credibility and trust: Including a customer testimonial, logos of companies that endorse you (e.g., the Better Business Bureau) or a list of satisfied customers all help to reassure your customer and help convince them to convert. Put a thank-you page to work for you: Be sure to display a thank-you page after your customer has taken action. It’s a good opportunity to share additional information with them, provide another offer or invite them to click again to visit your blog, download another white paper or view other resources that they might find useful. You might even ask them to complete a simple poll or survey to collect additional useful information. Once you’ve set up a landing page and established a base-line conversion rate for it through a tool such as Google Analytics, you can begin to experiment with different components and configurations to determine the composition that yields the best conversion rate. Plenty of companies provide tools and services—some free, some not—to help you optimize your landing pages for best results. For example, Google’s free Website Optimizer tool lets you perform powerful A/B and multivariate testing through an exceptionally easy-to-use interface. But, that’s a topic for another post! In the meantime, focus on reviewing your existing landing pages and creating new ones following the tips presented in this post for (at least) the key ad groups that you target in your C A little effort on your part will go a long, long way to increase the number of conversions you can get from PPC ad traffic. When you are ready to make more from your PPC efforts contact ACS Creative for proper Landing Page Design.